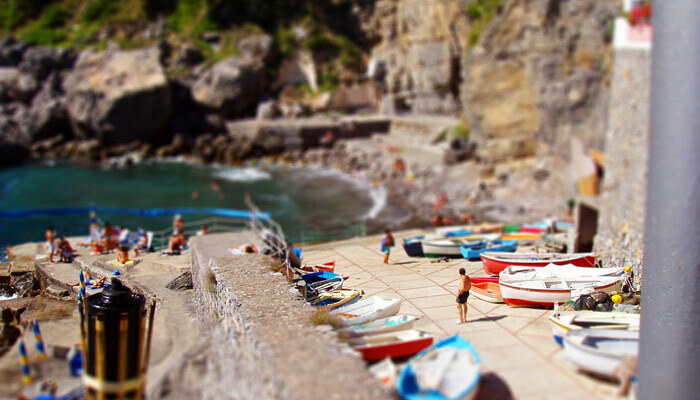 The best beaches to enjoy in the Amalfi Coast walking around Amalfi and Positano. 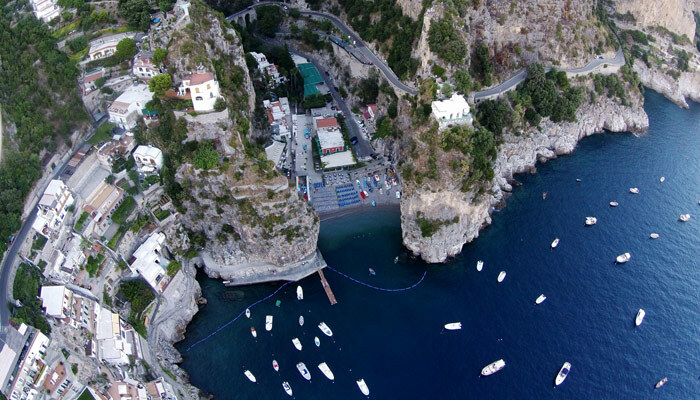 Marina di Conca is a really set into the rock beach located in the Amalfi Coast, in one of the most evocative corner of Conca dei Marini, four kilometres far from Amalfi in the direction of Positano. Well served with beach service, bar and restaurants, visitors can get to the beach by the staircase crossing Conca dei Marini. Surrounded by high cliffs, dipped into a crystal water always clean and repaired by the west winds of Capo di Conca, Marina di Conca is the best choice for who needs relax and the beauties of the landscape. The gravel seabed rich in wildlife is perfect to swim and to go snorkeling. The easterly aspect and the cliff make the sun go down at three ‘o clock in the afternoon. Marina di Praia, in Praiano, is considered one of the most wonderful beaches along the seashore between Amalfi and Positano. Easily reachable and well served with bar and restaurants directly by the sea, it’s a popular beach where people use to go especially in the afternoon to enjoy the sun before it disappears behind the high cliffs. Le Praie is one of the most enchanting creeks in the Amalfi Coast. 50 meters long, the little beach of Praiano, halfway between Amalfi and Positano, is a natural creek dipped into a cristal sea, with cliff drops and maritime pine all around. The sun shines there all afternoon long. The beach of Le Praie, an isolated and romantic corner, is reachable only by sea by renting a boat or enjoying a boat-trip. 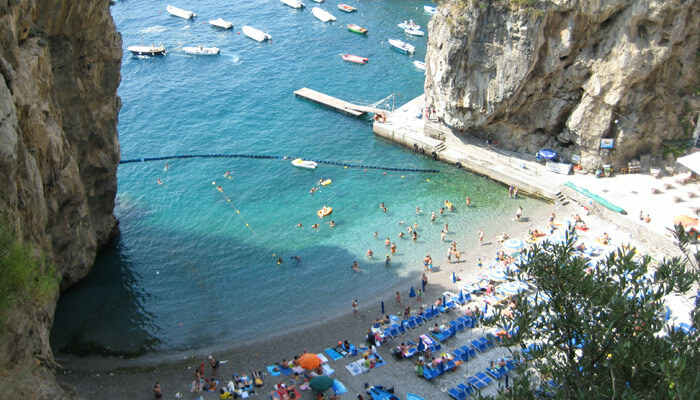 The Spiaggia della Gavitella, in Praiano, in the homonymous creek, is the only beach in the Amalfi Coast where the sun shines from dawn till dusk. With a view of Capri, Isola dei Galli and Positano, this beach is reachable by renting a boat or by the shuttle bus, and people can also get, by swimming, to the quiet creek Le Praie. In the vicinity of the Gavitella visitors can have a break in the so-named Fontana dell’Altare: a natural swimming pool dug into the rock.